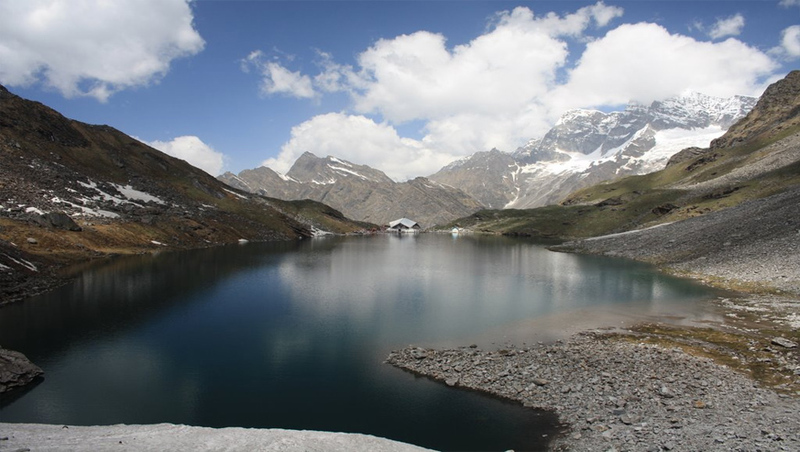 Hemkund Saheb is is sikh pilgrimage place with a Gurudwara and a lake. 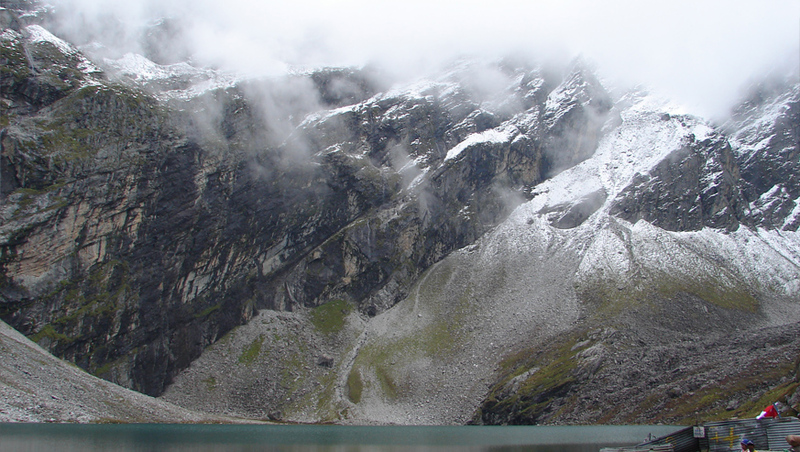 Hemkund Sahib India travel guide with recent information of Hemkund Tourism, hemkund sahib yatra, hemkund sahib tour package, hemkund sahib tour, hemkund sahib trek, hemkund sahib trekking, hemkund sahib tour packages, hemkund sahib yatra packages. 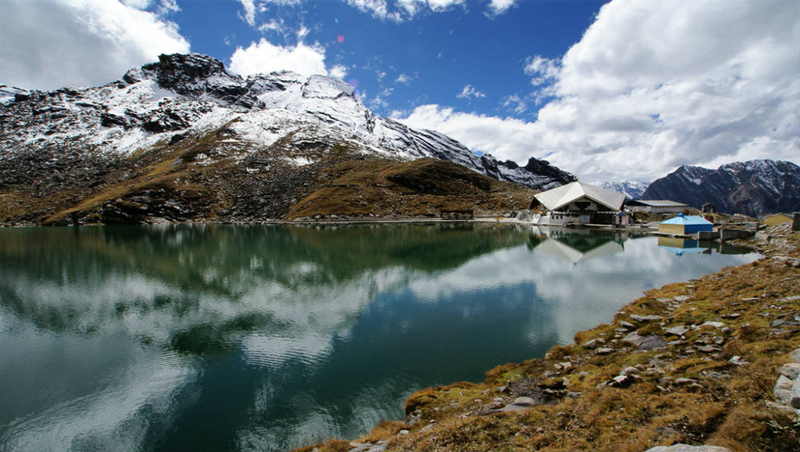 Set amidst towering snow-capped mountains and lying beside a lake of pristine blue water, the Sikh shrine of Sri Hemkund Sahib looks, even to the not-particularly-pious, a place of almost unbelievable beauty and peace. Seven peaks - known as the Sapt Sring- surround the shrine, looming over lush green pastures. The lake's rocky shores are covered with snow through most of the year, but when the snows melt, the almost mythical yellow-green flower known as the Brahma Kamal, the `Lotus of the Gods', blooms amidst the rocks. It's a place of a rather wild and untamed beauty- and one of Sikhism's most important shrines. The tenth and penultimate guru of the Sikhs, Guru Gobind Singh ji, meditated for years in these mountains, finally leaving his earthly form and uniting with the Almighty. The star-shaped Gurudwara Sri Hemkund Sahib, at a height of over 4,000 mt, is as such, a memorial to Guru Gobind Singh ji and a reminder of the saint's mission. 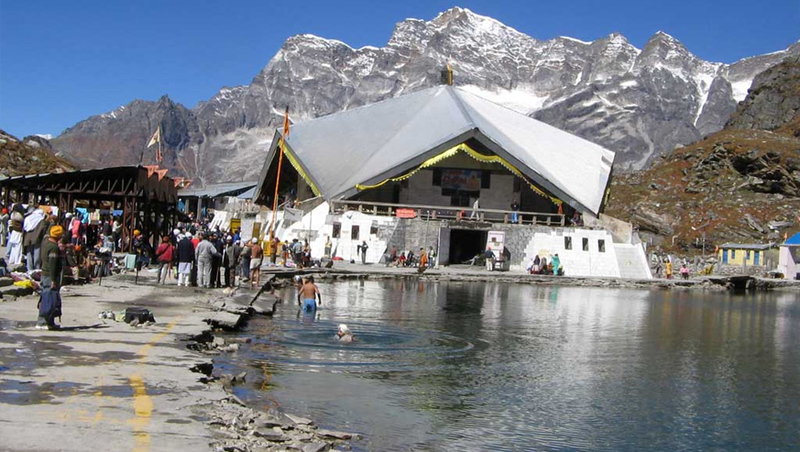 Sri Hemkund Sahib is accessible only in the summer, between June and October. The rest of the year, heavy snows make passage impossible, and usually block off the trail leading up to the shrine. Transfer to your Hotel in Haridwar. Visit Har-ki-Pauri for Ganga Aarti in evening. Back to your hotel, Dinner and Night halt. 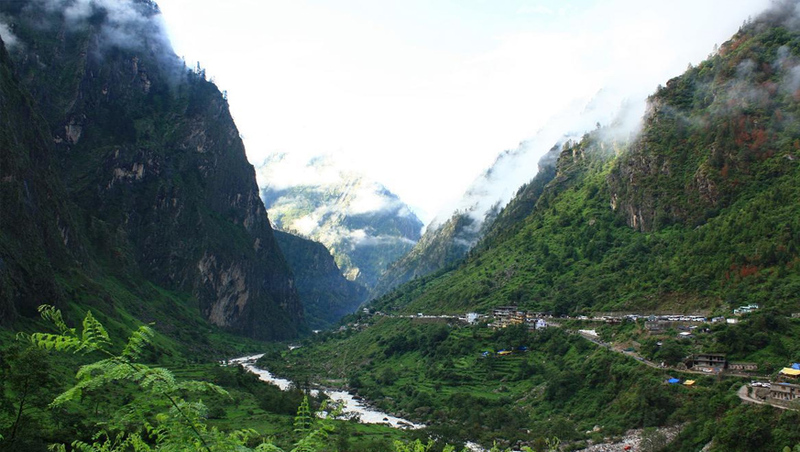 Morning, drive straight to Joshimath enroute visit Deoprayag, Rudraprayag and Karnprayag. On Arr. Joshimath, Check in Hotel. Overnight stay. Gangaria to Sri Hemkund Sahibji and back. Valley of Flower was discovered by Frank Smith while on the Expedition to Mt. Kamet. This picturesque Valley covered by rare species of flowers and a wide variety of Butterflies, Musk Deer, Thar and serow are found here. Back to Ghangaria. Later drive to Badrinath, Check in Hotel. Visit Badrinath Temple for evening Aarti. Night halt at Badrinath. Sri Badrinathji to Rudraprayag. Halt at Monal Resort. Early morning, Drive to Rishikesh. Visit Rishikesh Local Sight Seeing and Temples. Later drive to Hardwar. Check in Hotel. Overnight stay. Morning, visit Hardwar Local Sight Seeing and Temples. Later drive back to Delhi. On Arr. Delhi, transfer to Railway Station / Airport.